Kerri Powers was destined to be a musician from the start. While most kids her age spent their childhoods following frivolous pursuits, she spent hers reading, painting, writing stories, learning guitar and composing her first songs at the tender age of nine. Kerri went on to develop this innate talent to develop a career in music and release several well-received albums, including last year’s “Starseeds,” which boasts eight new original compositions and two choice covers – a moving take on Blind Faith’s restive anthem “Can’t Find My Way Home” and “Polly,” a lovely song of wistful reflection written by the late Gene Clark. 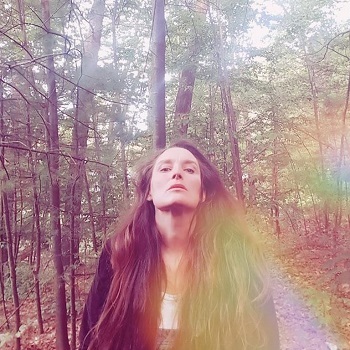 She’s also performed at the Boston Folk Festival, Philadelphia Folk Festival, and Telluride Bluegrass Festival, among other prestigious gatherings, and has toured Europe while opening for Canadian singer-songwriter Fred Eaglesmith in The Netherlands, Belgium, and the United Kingdom.